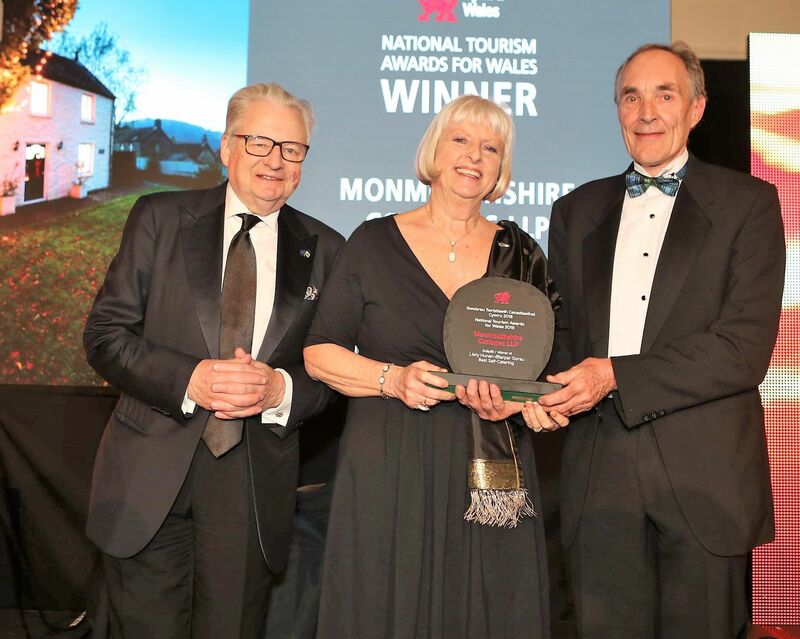 Monmouthshire Cottages has again won the top accolade of Best Self Catering in Wales. At a glittering event at the Celtic Manor Resort on 08th March Monmouthshire Cottages, as winner of the Best Self Catering in South East Wales, was up against the worthy regional winners from West, Mid and North Wales at the Visit Wales National Tourism Awards 2018. An anxious wait was soothed by a great performance from a super string quartet, the melifluous voices of Only Men Aloud, a delicious dinner featuring Welsh produce, but then compere Sian Lloyd took to the stage with the Minister for Tourism, Culture and Sport, Lord Elis-Thomas to announce the National Tourism Award winner -and it was Monmouthshire Cottages. Owners Malcolm and Fiona Wilton said they were thrilled to win such a prestigious title against stiff competition. Having won it in 2010 and the slightly different category of Best Visitor Welcome in 2015 they had worked very hard to maintain a consistently high quality experience for visitors and were so proud to have this recognised. After the announcement their Facebook and Twitter accounts were flat out with congratulations coming in from cottage guests and this aspect gave them most pleasure." Everything we do is driven by our guests and when we hear how much they have loved our cottages and our fabulous Monmouthshire locations all the hard work is worthwhile".